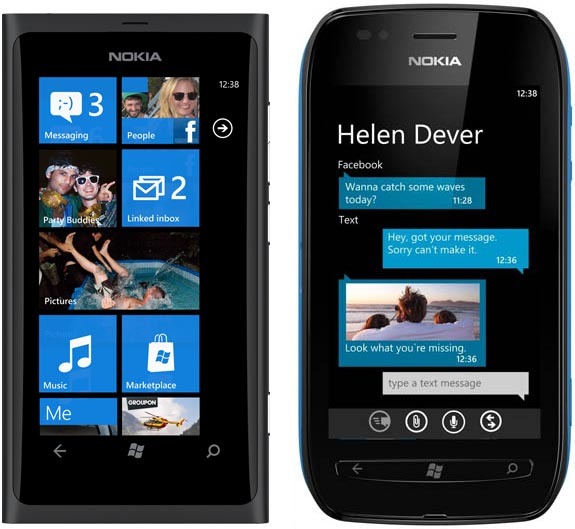 Nokia has announced that the Windows Phone Tango updates for the Lumia 710 and the Lumia 800 are rolling out live for consumers. Users of these devices have been waiting for the new update for some time now and finally they can get their hands on the new update. You can now share your mobile internet connection over Wi-Fi with up to five client devices or computers. With the new Camera Extras you get new features for your camera application which includes Smart Group Shot, Action Shot, Self Timer and Panorama mode. The new Contact share app will let you send and receive business cards via SMS. The Play To app will allow users to broadcast photos, music, and videos wirelessly to other DLNA capable devices connected to the same network such as TVs, Blu-ray players, and Music Systems with Microsoft Windows Media Player for Windows 7. So what are you waiting for? Just plug in your Lumia device to the Zune PC software and start updating. For more information on the new WP Tango update on your Lumia devices, hit here.